FOR SALE AV3124 *A Fabulous and spacious house in Eymet with 4 ensuite bedrooms, a huge basement, lovely garden with fruit trees and walkable to all commerce! FOR SALE AV2398 *Stone House with Converted Barn and over a hectare of land. Excellent rental income. FOR SALE AV3104 *Beautiful 4 bedroom Maison de Maitre with two barns and a pool and all set in 2.7 hectares of stunning countryside! FOR SALE AV3059 *Handsome 2/3-bed stone property on generous plot in rural setting, close to amenities. PRICED TO SELL! FOR SALE AV3076 *PRICE REDUCTION for this Charming 4-bed property with pool, set in an acre of mature gardens overlooking picturesque lake, near Eymet. LOCATION, LOCATION, LOCATION! FOR SALE AV2083 Charming 3 bed house with outbuildings, garden and nice view. FOR SALE AV3062 *Stunning 3/4 bedroom architecturally designed modern villa, with breathtaking, panoramic views. FOR SALE AV3067 *4 Bed house with a garage and a heated and covered pool with a lovely garden of 2000m2,set in a quiet residential area with lovely views 5 minutes walk from central Eymet! FOR SALE AV3061 *A bright and airy 5 bedroomed family home, located in the beautiful bastide town of Eymet, just a short walk to all amenities. FOR SALE AV2950 *Commercial property with 2 apartments in Eymet - Excellent Investment Opportunity! FOR SALE AV3037 *2 beautiful adjoining 14th century townhouses,with breathtaking views and gorgeous ‘secret garden’ courtyard. Perfect, low maintenance gite business, with proven, lucrative rental income. FOR SALE AV3012 *Lovely, bright 5 bedroom villa in quiet cul de sac, just a short walk from the centre of Eymet. * FOR SALE AV3028 Charming four bed single storey stone farm house to renovate in the countryside with several outbuildings, approx. 1,5HA land, no overlooking neighbours and lovely views. FOR SALE AV3022 *Brand New Onto the Market A Delightful 4 Bedroom Property Set in 2 1/2 acres of Garden and Woodland, New Swimming Pool - A Must See! FOR SALE AV3018 *Established Bed &amp; Breakfast in immaculate condition in the centre of the popular Dordogne town of Eymet. Bergerac airport just 20 minutes by car! Fantastic Opportunity. FOR SALE AV3017 *Lovely stone 3 bedroom village house with large garden, conservatory and private parking. FOR SALE AV3014 *Amazing 7 bed Maison de Maitre with guest house, Outbuilding, covered pool and jacuzzi, tennis court and beautiful mature gardens on approx. 2,7HA of land. FOR SALE AV2967 *Lovely large house with 4 bedrooms situated between the villages of Eymet and Issigeac. FOR SALE AV2951 *Beautiful 5 bedroom, 5 reception room detached, stone property to be renovated, with manageable plot, in heart of Duras, walking distance to amenities. Ideal B&amp;B. FOR SALE AV2958 *Fantastic 3 bedroomed bungalow in immaculate condition in the heart of a lovely village with amenities. TO LET AV186 Fabulous 2 bed/2 bath townhouse and garden in the town centre. FOR SALE AV2910 *Superb 4-bedroom stone residence in delightful grounds, with pool, in a hilltop Bastide town, walking distance to all amenities. FOR SALE AV2939 *Stunning 5 bed-roomed/4 bathrooms Maison de Maitre set in 1 hectare of grounds with pigeonnier, hanger and breathtaking views. FOR SALE AV2934 *Stunningly Elegant 8 Bedroomed Napoleon 3rd Mansion House set in 2.7ha with it&#39;s own Fishing Rights, Heated Salt Water Swimming Pool VIEWING ESSENTIAL! FOR SALE AV2922 *Lovely, 4 bedroomed new build bungalow in sought after village, just 5 mins from Eymet. FOR SALE AV2589 *HUGE REDUCTION for this Magnificent stone Manor House with private courtyard, beautiful views, outbuildings and guest house. FOR SALE AV2897 *Converted 4 bedroomed villa with pool and large, fenced garden, just a short walk from amenities. French registered car and furniture all included. FOR SALE AV2894 *Lovely 3 bedroomed, new bungalow just a couple of minutes walk from all amenities in popular village. FOR SALE AV2872 *Beautiful 4 bedroom house in peaceful hamlet, with stunning, panoramic views, 20,000 m2 of land and spa pool. FOR SALE AV2854 *Riverside property with main house and gite with swimming pool near Eymet - OPEN TO OFFERS. FOR SALE AV2852 *Immaculate Stone House, ancient forge and separate barn in a quiet hamlet offering many possibilities VIEWING ESSENTIAL! * FOR SALE AV2846 *Stunning, restored stone farmhouse with gites &amp; pool in idyllic rural location, 10 minutes from picturesque village with schools and amenities. FOR SALE AV2829 Lovely stone barn conversion, just minutes from Eymet and Lauzun, with stunning views. FOR SALE AV2821 Large 6 bed roomed home in the heart of a beautiful riverside village with amenities. FOR SALE AV2817 *Large country hideaway with stunning reception rooms and gite, offering complete privacy, just 2 kms from Duras and all amenities. FOR SALE AV2816 *Character 3 bed converted stone barn on the outskirts of the charming bastide town of Eymet. Only 2min. away from all shops. FOR SALE AV2740 Large old town house with dependancies and commercial shop. FOR SALE AV2636 Very attractive Perigordine property set in 1.5 acres with large garden and surrounded by vines with wonderful views overlooking Ste Foy la Grande. FOR SALE AV2618 Lovely, bright 4/5 bedroom town house with large garden, above ground pool and attached barn, cellars and workshop, in a charming village just a short drive from all amenities. FOR SALE AV2502 Lovely bright 4 bed-roomed house, with guest accommodation, swimming pool set in attractive gardens. FOR SALE AV2067 Charming 2 bed stone house in good condition with nice garden, a well and a garden shed. FOR SALE AV1931 Well Appointed 5 Bed/4 Bath Village House. With Small Garden In The Heart Of Eymet. FOR SALE AV1791 Stone house with 3 bedrooms in a quiet place. FOR SALE AV1722 Excellent Value Country House with 4 Bedrooms and a pool. We have always prided ourselves on the level of service that we provide our clientèle. Whether they be a single traveller, a couple, family group, corporate client, or business men and women requiring a base from which to conduct business meetings at any time of year, but particularly during the conference and festival season in Cannes, the F1 Monaco Grand Prix and the many other exhibition venues along the French Riviera. We have a hand-picked selection of apartments and villas in France throughout the Alpes-Maritimes, Var & Languedoc-Roussillon, and in Portugal, the Lisbon Coast, Algarve, Porto & Alentejo. 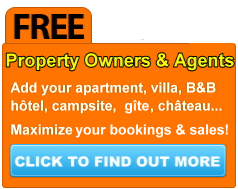 Unlike many other agencies, we deal with the holiday home owners direct. Many of our villas for rent are available all year round and can be rented for Christmas, New Year and Easter. With cheap flights now being offered by budget airlines, we can also offer highly affordable weekend breaks. All our villas have their own private swimming pools (some also have access to large communal pools), some have their own tennis court, others have access to sports and leisure facilities within their residential Domaines. All our rental properties are decorated and appointed to a very high standard. Most have luxury fitted kitchens with all modern appliances, cookware, crockery and cutlery. Some villas and apartments are air-conditioned, but most are not. Naturally, BBQ's and garden furniture are also provided for dining al fresco on those warm evenings. For couples & those with a young family, or business clients wishing to visit the various conferences in the South of France, such as the Cannes Film Festival, Monaco Grand Prix, MIPIM, MIDEM, MipTVMIPCOM, our apartments are close to the popular Côte d'Azur mediterranean coastal resorts, many being within walking distance of the beaches and many conference venues. Most have parking available.